Meredith Dairy is a sheep and goat farm situated in South-western Victoria that has been producing cheese since the early 90's. 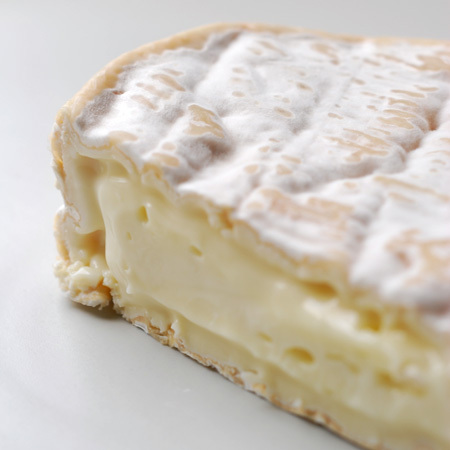 Their aim is to produce "farmhouse" style cheese using both French techniques and cultures. 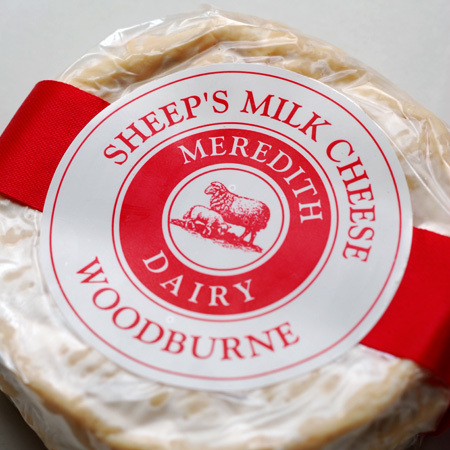 Woodburne is made in a French farmhouse style (Camembert) - it is a white mould, surface ripened cheese. 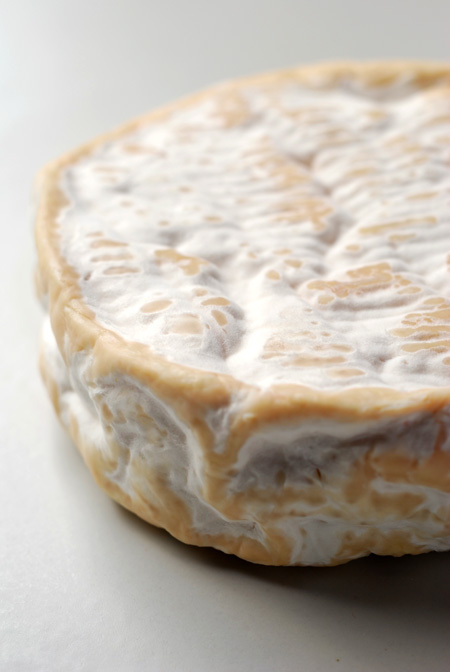 It is sold at between 2 and 4 weeks of age and reaches full maturation at 8 weeks. You'll find that as it matures the flavours will develop and the interior will break down into that gorgeous runny ooze that is so loved. With this particular cheese you can see the cheese closed to the rind has begun to break down - this is still 2 weeks away from reaching full ripeness. It also hasn't been out of the fridge for too long so you will see, as it comes up to room temperature that it will tend to become runnier. 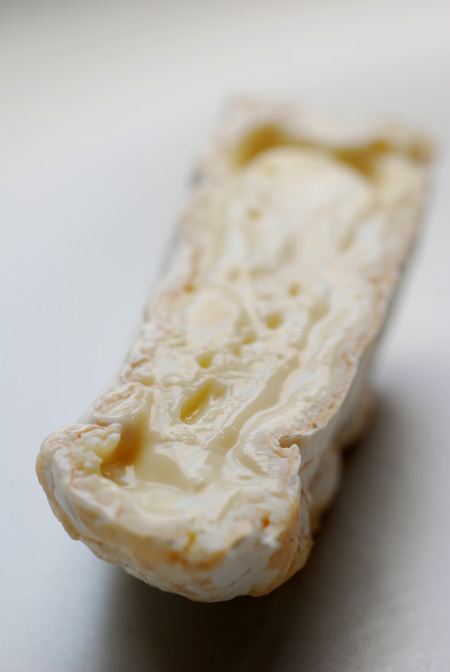 There is a lovely sweet creaminess to the cheese with an appealing bite found in the rind. I sourced this cheese from Leo's in Kew but I've also read that Meredith Dairy can be found in the US - it is available by special order.